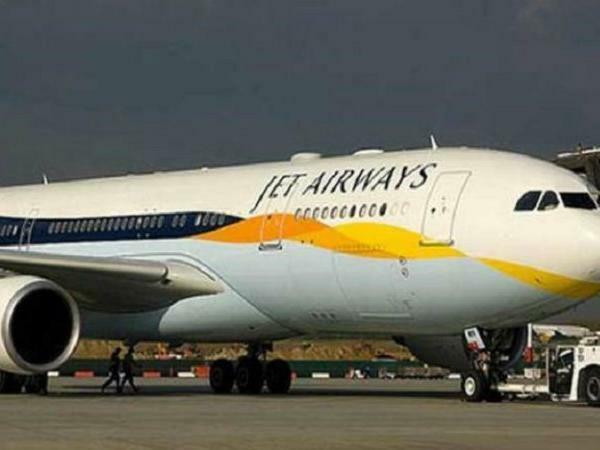 The crisis in Jet Airways deepened Friday as the airline could operate only 11 aircraft on Friday, leaving passengers stranded at various domestic and international airports and prompting the Prime Minister's Office (PMO) to hold an urgent meeting to discuss the situation. According to sources, the meeting was called after Civil Aviation Minister Suresh Prabhu asked secretary of the department Pradeep Singh Kharola to review issues concerning Jet Airways. After participating in the meeting at the PMO, Kharola held a meeting - through video conference - with the management of Jet Airways. Passengers were left stranded at airports as Jet Airways announced on Friday that it is suspending international operations till Monday. Moreover, its employees carried out a protest march in Mumbai, asking the airline to pay their pending salaries. Kharola told reporters that Jet Airways flew 11 aircraft on Friday and will fly six to seven aircraft on both days this weekend on domestic routes. When asked if the airline has enough funds to keep the operations going on till Monday, the secretary replied in affirmative. He said that Jet Airways had a meeting with the bankers on Friday "wherein they put forth their demand" regarding interim funding. A consortium of lenders - leading with State Bank of India (SBI) - is currently handling the airline. Kharola said that the bankers have asked the airline to "rework its proposal" regarding interim funding. "Monday again, they (Jet Airways) will be approaching the bank. Depending on what the banks decide, the future course of action would be taken," he said. "Till Monday afternoon, (six to) seven planes would be flying. After that how many would fly would depend on their interaction with bankers," he added. The secretary clarified that while one aircraft that would be flying in the weekend would be Boeing 737, all other aircraft would be ATR. With less than 100 seats, an ATR is a much smaller aircraft than Boeing 737. Naresh Goyal owns 50.1 percent in the airline, most of which is pledged with the consortium of lenders. Goyal had last month agreed to pare down his stake to 25.5 percent for an emergency fund of Rs 1,500 crore from the lenders, and leave the board but the process is yet to be completed due to procedural delays. Airfares have been on an upswing across India for the last few weeks due to sharp decline in number of flights primarily caused by grounding of 90 per cent of the 119-aircraft fleet of Jet Airways. The airline on Thursday had suspended its operations to the eastern and northeastern cities of India "till further notice".